Herbal Dietary supplement is intended to supplement the diet. Contains one or more dietary ingredients (including vitamins, minerals, herbs or other botanicalsA plant or part of a plant used for its flavor, scent, or potential therapeutic properties. - Highly nutritious and the richest natural source of antioxidants. - Helps body build its natural defense system and supports its immune efforts to fight infections. Vitamin D is an important nutrient necessary not only for maintaining calcium balance and safeguarding skeletal integrity but also essential for overall health and well being. It is primarily acquired by exposure to sunlight and food articles commonly consumed by Indians do not provide adequate vitamin D.
Kill Constipation before it cause you many diseases. Ayurvedic Health Food helps in maintaining good health. As per ayurveda, it can be attained through balance between mind, body, spirit, and the environment around us. This harmony is achieved through diet, physical exercise, lifestyle modification and various herbs. Bio-Curcu is a dietary supplement with proven rich availability of curcumin (Root extract of Turmeric). Bio-Curcu is extracted with ginger and vanillin to increase its bio-availability to three times more. 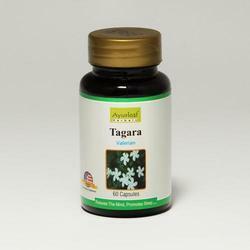 It is a powerful antioxidant, anti-inflamatory and antimicrobial. 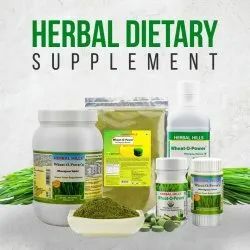 Herbal Dietary Supplement is a unique blend of Natural ingredients which help in brain development, increased concentration and boosts immunity. Cranwell offers a natural remedy to reduce recurring urinary tract infections by reaping the benefits of Cranberries “The Super Food and acquiring a healthy balance in life. NWIL’s Cranwell, comes in an easy to swallow soft gelatin capsules and offers a natural method to prevent UTIwithout possessing any side effects. A herbal supplement for Diabetes. It helps reduce the blood sugar to normal level. Ingredients: 100 mg Tinospora cordifolia (Guduchi), Withania somnifera, Zingiber officinale, Ephedra cerardiana. Indication: Anti-allergic, cough & cold, allergic rhinitis.